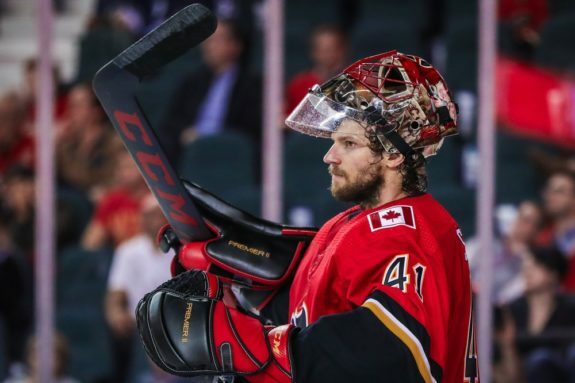 It’s been a long time since the Calgary Flames have had a goaltender they can confidently call their number one. After Miikka Kiprusoff retired in 2013, a strenuous search for his replacement between the pipes began. Jonas Hiller, Joni Ortio, Karri Ramo, Brian Elliott, and Chad Johnson were among the goalies given the opportunity, but all failed to permanently grab the reins. The 35-year-old was brought in to be the undisputed starting net minder, and he’s already proving to be the real deal. Although it’s only been three games, Smith’s 1.68 goals-against average (GAA) and .957 save percentage has come against the Edmonton Oilers, Winnipeg Jets, and Anaheim Ducks, with the Oilers and Jets both finishing in the top ten in scoring last season. The veteran completes a well-rounded roster that, with the off-season addition of defenseman Travis Hamonic, boasts arguably the best defensive corps in the NHL. In their two most recent trips to the post-season in 2014-15 and 2016-17, the Flames finished ranked 14 of 16 and 15 of 16 respectively in goals-against per game. Not exactly the recipe for a deep playoff run. Although Smith’s playoff experience is limited, he proved he has the tools to perform at a high level, deep in the playoffs. 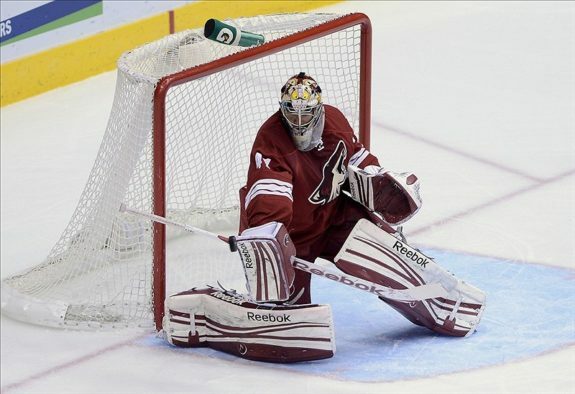 In the 2011-12 season, he took the Arizona (Phoenix) Coyotes all the way to the conference finals, where they came up just short of the Stanley Cup Final, falling to the Los Angeles Kings. Throughout that playoff run, Smith was nearly unbeatable. In 16 games, he boasted a 1.99 GAA to go along with a .944 save percentage, knocking out the Chicago Blackhawks and Nashville Predators in the process. Even though he was playing behind one of the more solid Coyotes blue lines to date, including Keith Yandle, Derek Morris, Oliver Ekman-Larsson, and Michal Rozsival, he’ll have an even more concrete unit in front of him in Calgary. Other than the 2011-12 season, he was left out to dry for the entirety of his Coyotes tenure. In his last five seasons with the club, they ranked in the bottom half of the league in goals-against each year. Not because of poor goaltending, but because of an immense amount of shots allowed. In that same time span, the Coyotes finished in the bottom ten in the league for shots allowed per game, including a 29 out of 30 ranking in 2016-17. After continually facing a high volume of shots year after year in Arizona, Smith now joins a team that has finished in the top half of the league in shots allowed per game for the last four seasons, a change that is sure to only make him better. In the 2016-17 season, Smith faced a whopping 1,819 shots with the Coyotes, posting a 2.92 GAA and .914 save percentage. In comparison, the Flames’ goaltender at the time, Brian Elliot, faced only 1338 shots and posted a slightly better GAA of 2.55, but a worse save percentage of .910. When facing nearly 500 more shots than Elliott, it’s expected he would have a higher GAA. But the save percentage is what speaks volumes. With the potential of facing up to 500 less shots this season, the new Flames net minder could be on track for a career year. If he were to achieve that feat, he and his new club will be in for a special season. Not only is Smith going to be a major upgrade between the pipes, he’s also going to have an impact on the offensive front. He’s well-known for his ability to play the puck, and is arguably the best goalie in the NHL at doing so. Having a goalie that can handle the puck the way he can opens up a whole new playbook for the Flames. It will allow for more threatening transitions, especially with the likes of Johnny Gaudreau and Sean Monahan, and offer many different looks, making it harder on opposing defenses to try and control. His ability will make it harder for other teams on the forecheck, forcing them to dump the puck into certain areas, which Flames defenders will be able to key in on. With the addition of Smith, as well as Hamonic and even Jagr, the Flames have completed the puzzle that is their roster. They have all the pieces needed to make a deep playoff run, and barring multiple long-term injuries, they will do just that.